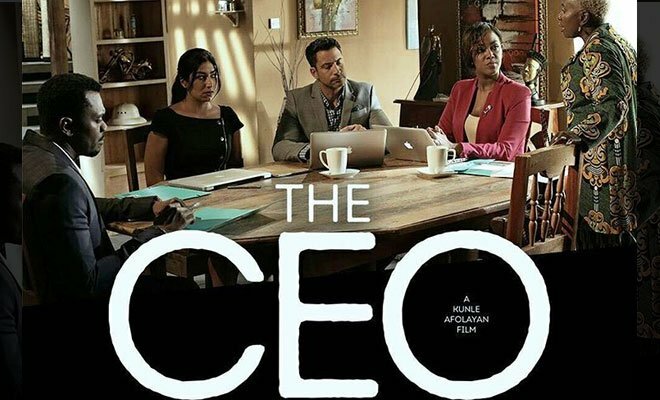 Why African CEOs Should Watch Kunle Afolayan's "The CEO"
One of the reasons why I went to the Silverbird Cinema to watch the highly acclaimed movie , The CEO produced by a highly creative and respected movie maker (in fact the best), Kunle Afolayan last night, was because of curiosity and then to get thoroughly educated. His movies just schools one. I love movies! Especially quality African stories and so i'm always the bout of laughter sometimes whenever we are game for a group cinema outing when it comes to choosing a common movie to watch. I'm always considered 'bush', "unenlightened' and outrightly unreasonable whenever I insist I want to see a Nollywood movie. Don't get me wrong, I do not tolerate thrashy story lines and all that substandard stuff that we were mostly 'fed' earlier in the industry years. No, I mean that was what they could afford to do at that time, to build an industry without government support from scratch, so kudos to Nollywood. Now, they are growing and to save my heart, I have identified good storytellers and producers/directors who take their time to make movies- world class movies and surely, Kunle Afolayan tops my list for now. Of course, I can go ahead to show off, two other producers that catch my attention any day. TheEmemsong/Uche jombo/Desmond Elliot clique as one and then Ghanian, Frank Raja, they are not perfect but they try. Back to the movie, The CEO, I loved the Nigerianness, class, suspense and adrenalin-pumping mystic surrounding the plot. I loved the costumes, the choice of a beach house in Lagos and exploring the beautiful water-boat scenery, the African scope - including Cote dvoire, Kenya, Nairobi, Nigeria and the other countries where the movie was shot. Most importantly, I was amazed at what many would have made a board room contest of just performance, that turned to horrible mystic deaths, (self-elimination), the simplistic assessment style for the jobb of the CEO and yes (call me a racist), the triumph of a Nigerian CEO over the white confident I-got-no-competition wanna-be CEO. Afolayan spinned my English language and literary mind and did not disapoint. He keeps his promise, and yes, told a world class Pan-African story in different African tongues. Let's discuss this movie from your perspective, if you have seen it. If you've not seen it, you will not know the names of the characters, which I have intentionally refused to mention. I love Nollywood! I love the 'head' on Kunle Afolayan and yes, I loved watching the CEO. At #JCB, we endorse the movie!